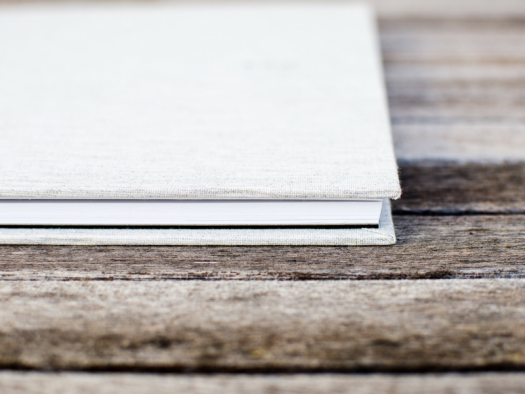 A fabulous yearbook layout can make or break how your book is viewed as a whole package. While you may not have had formal training in the publication world, that doesn’t have to limit the reach of your design. 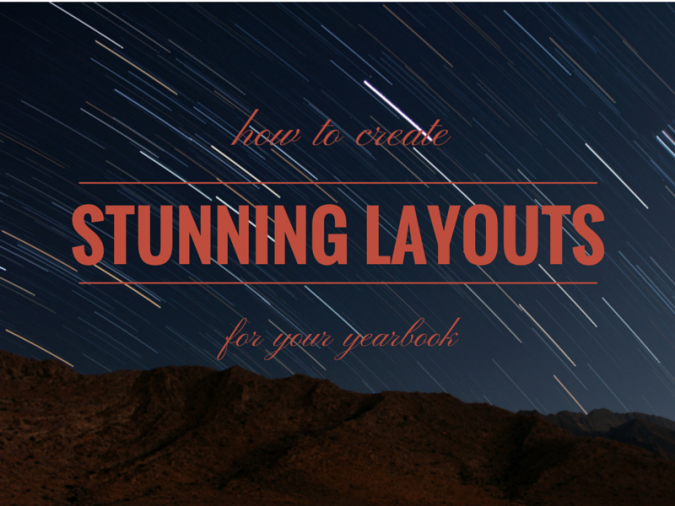 You can create the perfect yearbook layout with a little help from the tools in your TreeRing account! A clean, professional design can be easily achieved with a thoughtful approach that includes an eye for details and some strategically placed callouts. Today I’ll take you through everything you need to know to pull together an extraordinary yearbook layout. When you proof the content your committee meticulously pulled together, there are always a few things that make each article shine. From student quotes to eye-opening statistics to unique bullets of copy, these pieces of information get your audience extra engaged within the pages of your publication. To put the spotlight on these specific items, create content callouts (also called pull-quotes) that reside next to, within, or below your main article! You can do this with images or text, and it’s super easy to do. 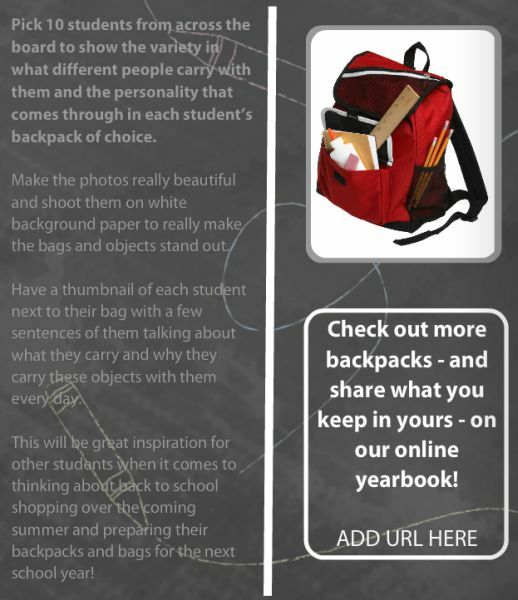 You simply add a photo and/or text box like you would on any other page of the yearbook, and place it next to your main copy! 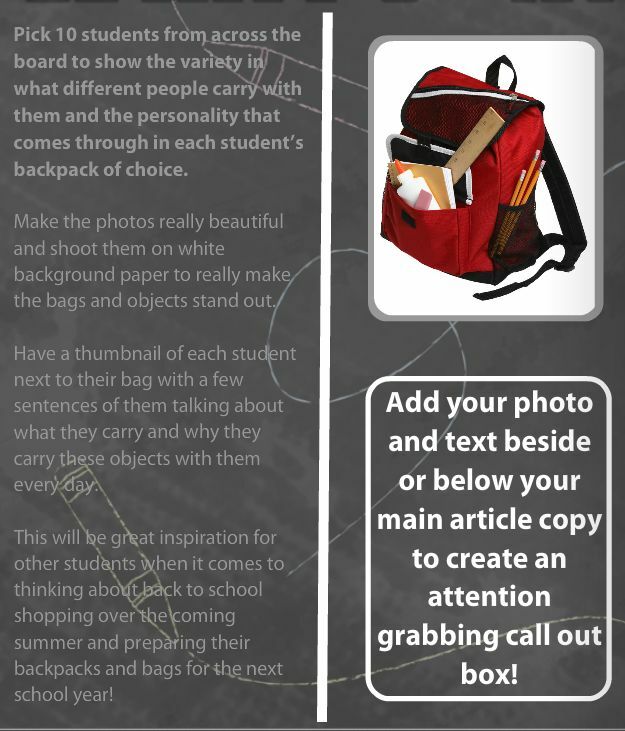 When you want to make these callouts really stand out within your yearbook layout, add a border, unique background or bold font. This will catch the reader’s eye right away, and add some context to your article before they delve into the main copy. To break up different sections of copy or split two features on one page, use lines to your advantage. Get creative with the direction and tilt – even just a simple vertical or diagonal line can have a huge impact on where a reader’s eye travels as they engage with your content! Adding lines to your TreeRing yearbook is super easy. In fact, you can build out a whole page of content with just a few clicks of your mouse! To start, click on the “Add a Graphic” button at the bottom of the page. In the upper right corner of the graphics box, click the “Add Shape” button. Choose the “Line Segment” option. To change the tilt of the line, hover your mouse over a corner of the line until the rounded arrow appears. Then hold down your mouse button and move it around until you get the right fit. Place your line within your content, and you’re all set! To make your content extra engaging, you have to use all of the tools available to you–including your online yearbook! To offer more content than your yearbook can accommodate, simply direct your readers back to your online space for more detailed information. This is a great way to expand your features to include more students, showcase some of the fun bloopers from your photo shoots, or share some unique simple recipes that supplement your content for your students to try over the summer. 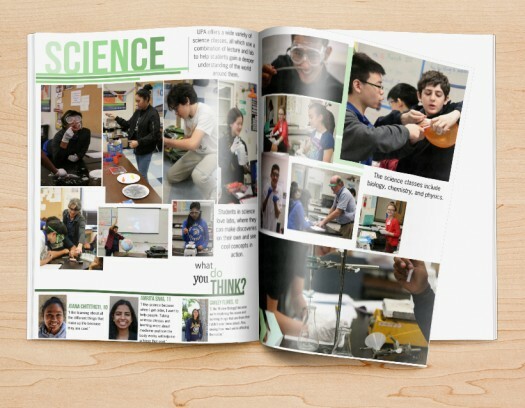 Mixing some online supplements into your book is the perfect way to build a more interactive yearbook layout–and it will definitely get your students more interested in what your publication has to offer. 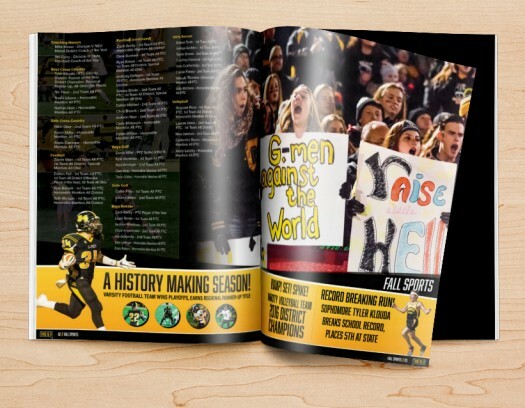 A stunning yearbook layout doesn’t have to be hard to put together, especially with the suite of digital tools that your TreeRing account has in place. These ideas are just the tip of the iceberg in terms of what you can do with the awesome graphics and layout options our design tools have to offer. So jump into your account and start getting creative. Use these ideas to draw your readers to some of the best content your committee has created!